February came and went by so fast. The initial months of the year are always 'meh' kinds. A lot to do with the crazy weather and no festivities around. 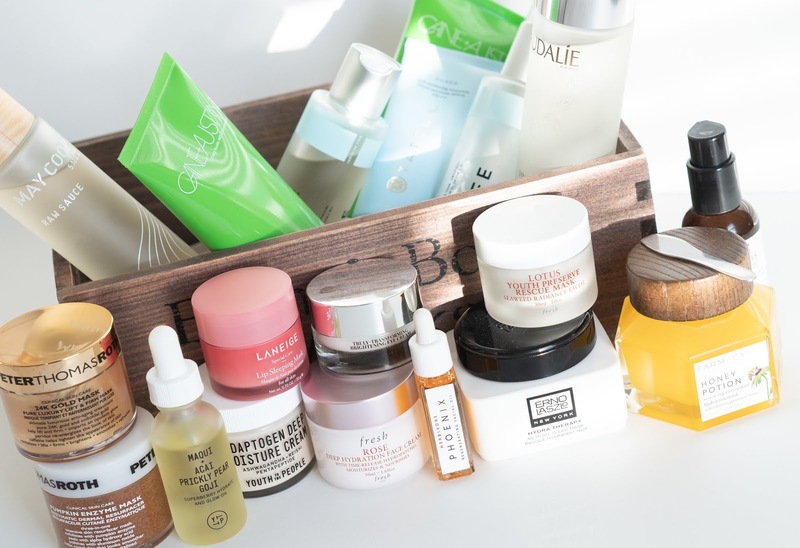 I did try a bunch of new skincare and also opened my 'box of back-ups'. I don't buy any makeup back-ups now, but there was a time when I did. Crazy MAC times!! Kate Somerville Exfolikate Cleanser: I hit jackpot with this one. Such a wonderful cleanser. It is gentle yet effective at the same time. It smells lovely and the end result is very clean, refreshing and brightening. A full review to come soon. 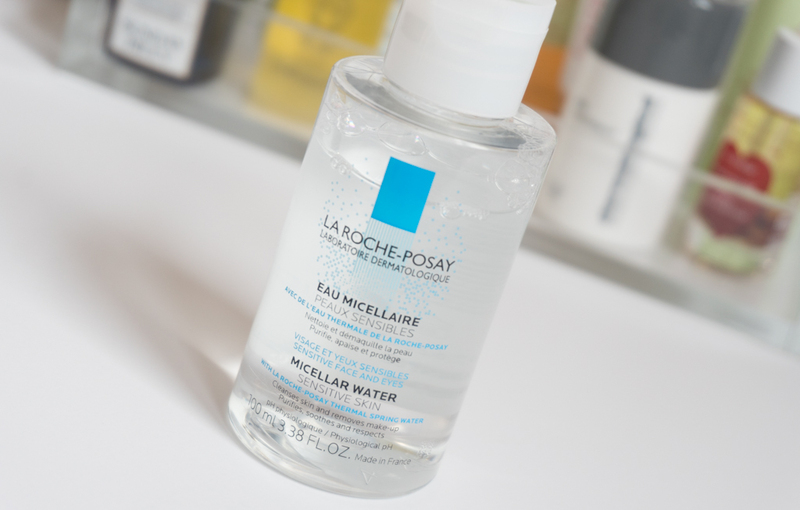 Nuxe Micellar Cleansing Water: I love this as much as I love my Bioderma Micellar water. This one from Nuxe smells much better than the Bioderma one. 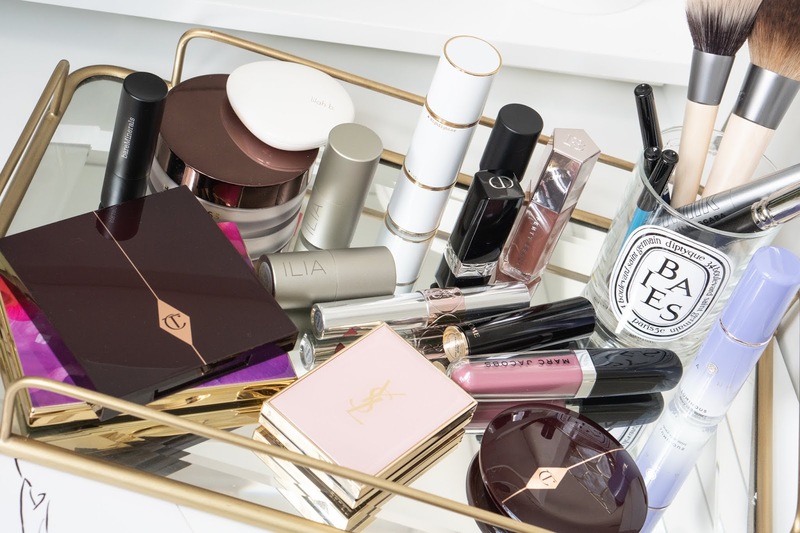 It removes every single trace of makeup. I personally find this more soft, gentle and less drying than the Bioderma one. A big thumbs up! Laneige Water Sleeping Mask: I love every single product that this brand has to offer. At least the ones that I have tried. 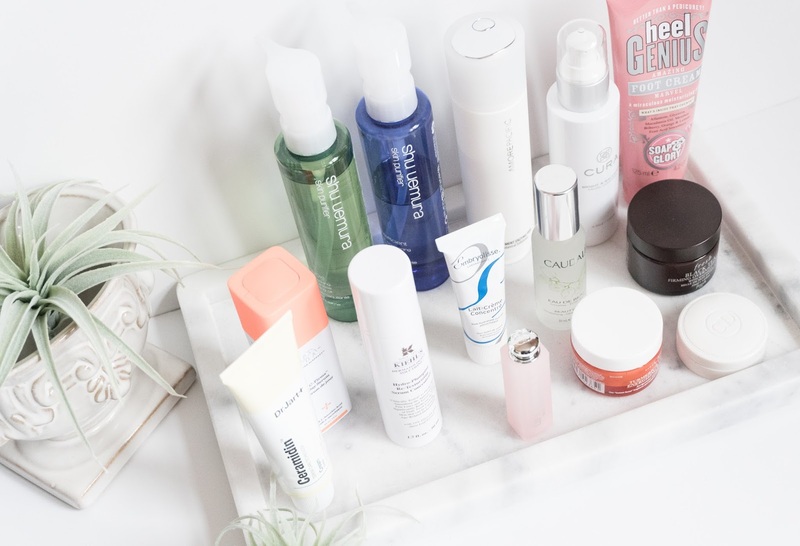 Available at Target, this brand offers amazing quality skincare at a mid range price. It is not very crazy expensive, but it ain't cheap either. The results are phenomenal. 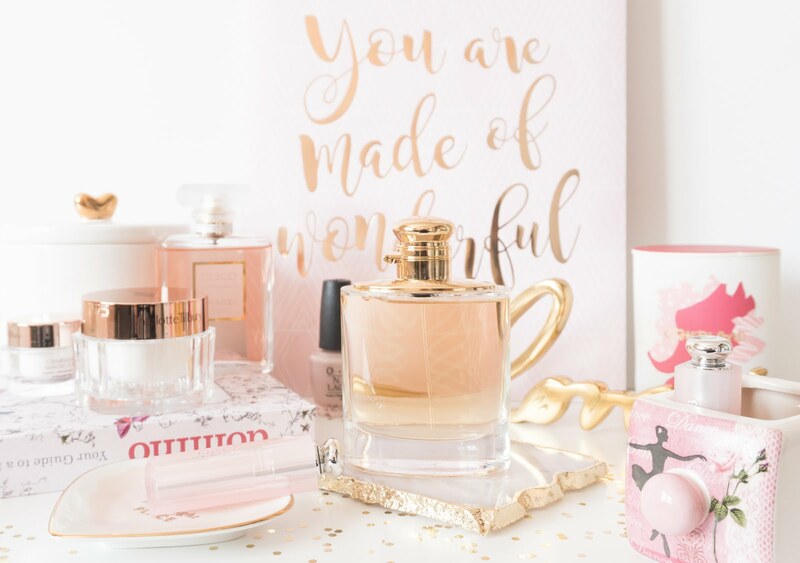 There are trial kits like this one and a great way to try multiple products from the brand. The Water Sleeping masks just delivers what it promises. It hydrates and replenishes the dehydrated skin. 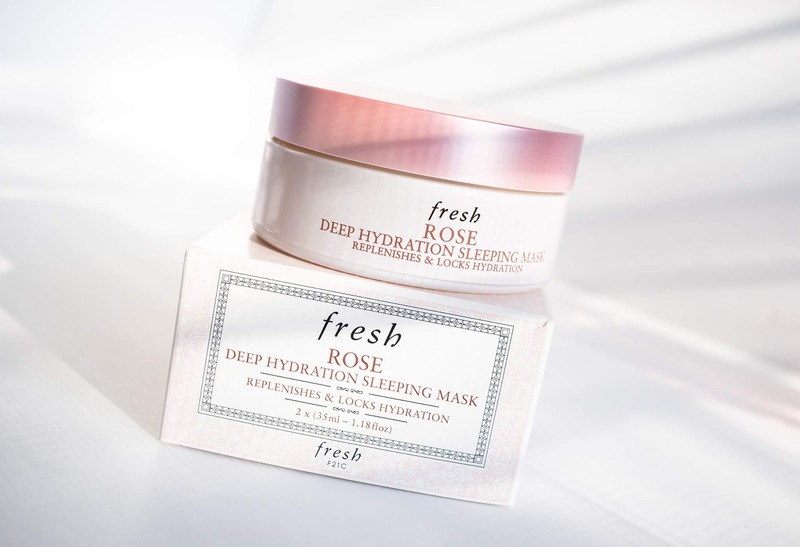 Much better than some of the high end hydrating sleeping masks that I have tried. Laneige Water Bank Serum: This too was a part of this kit and the whole kit targets towards the dehydrated skin condition. The serum smells light and lovely. It is gentle, absorbs very fast and does not leaves any greasy residue. The face is moisturized and retains its hydration level for a very long time. Just love it! Kiehls 'Creme de Corps' whipped body Butter: This looks and feels like butter. Real butter. It is yellow in color, has a whipped cream cheese consistency. Light weights, absorbing and moisturizing. I have this one from the Holidays. It smells different, but the regular one in their line is exactly the same in performance, but not the scent. It is not greasy at all. Does not leave any shiny or oily film. Love this one. Mine is almost empty! As I was going through my 'box of back-ups' I came across this Bobbi Brown Warm eyes palette. I already use one on regular basis. It is very common neutral palette of warm brown colors. I love that it is so sleek and portable. The brush is handy as well. It is of good quality. For this post, I chose to click the nicer, newer palette. Bobbi Brown usually comes up with these kind of portable palettes all the time, like this one and this one. The shadows are nice, blendable and lasts for a good amount of time. MAC Cremesheen glass: These have been my go-to gloss for sometime now. 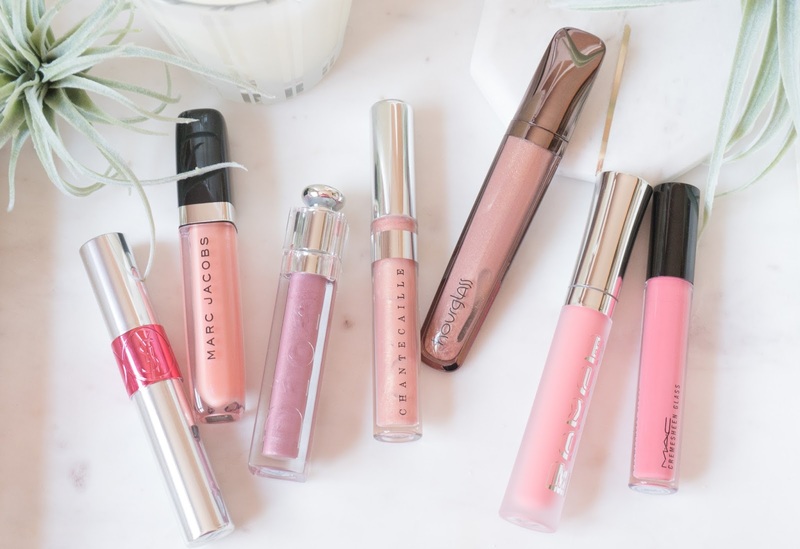 Not at all new in the world of beauty, these lip glosses are high shine, creamy, comfortable and beautiful. I have at least one MAC Cremesheen glass in pretty much every purse and bag I carry around. Good Product. Love it! Tatcha Luminous Dewy Mist: I always thought this was over rated. After my initial 2 use, I was not ready to admit that this mist was amazing, but in reality it is awesome!! It is exactly like it says on the pack 'luminous, dewy mist'. I have tried many 'dewy' mists, but that 'luminous' part is real! It leaves the skin looking beautiful. I have dry skin and this mist just gives it extra life. This product is expensive and unique in its own way. 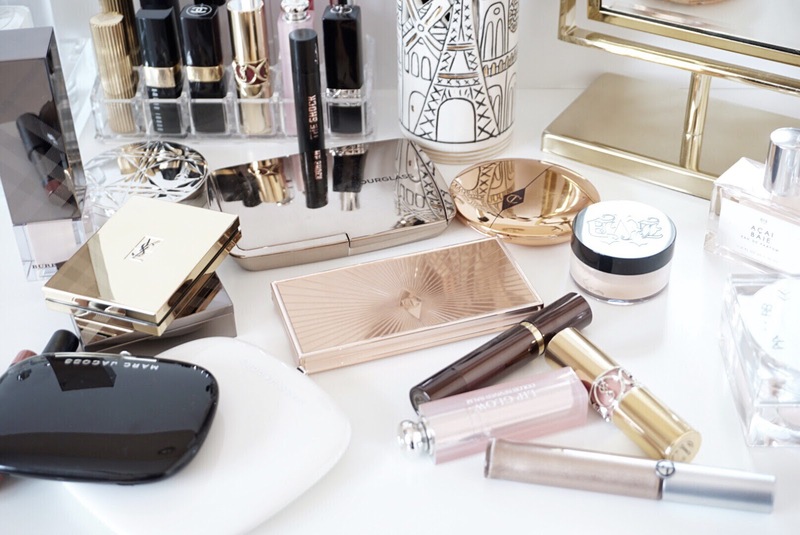 Hourglass Ambient Lighting Palette: This one needs no introduction. I love the brand, I love the product. Period. The 'Radiant light' ambient powder provides a lovely warmth to the face and the light sheen that it imparts looks radiant and natural. It is over the top or fake looking. A beautiful, forgiving product. Edward Bess All over Seduction in the shade After Glow. This is a cream product, a cream highlighter to be precise. It is not the most creamiest product, but the sheen in it is top notch. The product needs to be applied with fingers, using tapping and patting motion to get the most natural finish. The warmth of the finger helps to pick the product well. 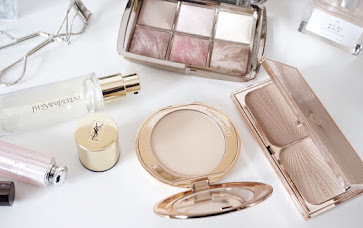 It lasts the whole day and the glow and shine this imparts is absolutely amazing! IT Cosmetics Heavenly Luxe Flat Top Buffing Brush: This is the only flat top buffing brush I own, so I don't have anything else to compare this. On its own, the bristles are soft, help pick decent amount of product and blends and buffs it nicely into the skin giving a flawless appearance. The bristles have good splay to them, so it makes blending powder foundation easy without giving cake'y' finish. I think it is a bit over priced though. There was only one disappointing product this month. The Skin Inc Pure Deepsea Hydrating mask. This clear, gel mask failed to provide any hydration to my dry skin. The skin felt smooth and velvety to touch, but it felt stretched and pulled like crazy! Just after 30 minutes, I had to wash it off and apply generous amount of Kiehl's Super Multi-Corrective Cream. I tried this product multiple times, because the ratings on Sephora are amazing. It was just disappointing to see the product not working for my skin.